Plotters, Pantsers, and Plantsers–Oh, My! I love Ray Bradbury. It’s a shame that I’ve only read Something Wicked This Way Comes and a short story of his titled “There Will Come Soft Rains”. I honestly need to read more of his work, because it’s downright amazing. Okay. Maybe I shouldn’t have started off with such a heavy quote. I’ll try and break it down. Since I’m an aspiring writer, and don’t really know a lot about the history of writing and how it has changed, I can’t say how plot has become this… dirty word among writers. But beneath this dirt and assumption, what is plot? Plot is, simply, the events that make up your story. They are as, Ray Bradbury puts it, “no more than footprints left in the snow after your characters have run by on their way to incredible destinations”. Though, we shouldn’t confuse plot with story. A story is a sequence of events, yes, but those sequence of events have a meaning and theme that brings them together. If you strip the emotional underpinnings away from a story, what you have left is plot. Stories are the subjective composite; plot is the objective skeleton. A plotter is a writer that outlines their entire story beforehand. They are concerned mainly with the events of the story, and want to make sure they have a logical, finished product. Character isn’t their concern as much. However, if one is a plotter, the lack of concern for character may be the very thing from letting them achieve great writing, because their characters may turn into puppets that serve their desires rather than make living breathing characters. J. K. Rowling would be a contemporary example of a plotter, but this is understandable. She wrote a seven book series; keeping track of all the side stories was a must. A pantser is on the other end of the creative spectrum. They create riveting characters and let them fly through the story world. Compared to plotters, outlines freak out pantsers. They like having freedom and let their characters dictate the story. However, too much freedom can be a bad thing. If the pantser still has an idea of where they want the story to go, their protagonist may end up developing a romantic tryst with a pirate that they have to spend thirty-grueling pages with, causing the reader to lose interest. Stephen King is a very famous pantser. A plantser lies in between the spectrum of plotter and pantser. They’ll have an outline/ideal/or goal in mind, but they won’t know all of the minute details until they start writing. And if they find that something changes, they can throw out their outline and be completely okay with it. The only risk I see with being a plantser is that the process might be slower than having an outline (plotter) or having no worries about an outline (pantser). Randy Ingermanson’s Snowflake Method and James Scott Bell’s Write From the Middle address the plantser’s need for structure and freedom together. Out of all three of these types of writers, I do not believe one is better than the other. In fact, you may find, as I have, that as you grow and become a better writer, you will change between the typings. When I was younger, I had no scholarly semblance of plot. I just wrote whatever came to my head. I was very much a pantser. However, when I got older and decided that I wanted to do writing for a living, I noticed that I wouldn’t finish the things that I wrote, and I attributed to that with lack of structure, or plot, in my stories So decided to plot them. And I manage to finish more. But my characters were left underdeveloped and servicing my wants and desires instead of their own. And it was only until recently that I found out this problem. And so, now I bet you’re wondering if I returned to my old pantser roots. No. I wouldn’t really say that. I still have a long ways to go before finding out what writer I am deep down. And I need to learn more about character. And while I believe I gravitate more towards the plotter side, I find being a plantser more appealing. For rough drafts of stories where I have absolutely no idea of where I’m going, being the pantser is ideal. For second drafts, the plantser might be best, because you can test out structural components without having to stay limited to them. Being the plotter might make the third draft more succinct and clear-cut, because I’ll have everything organized and logical. 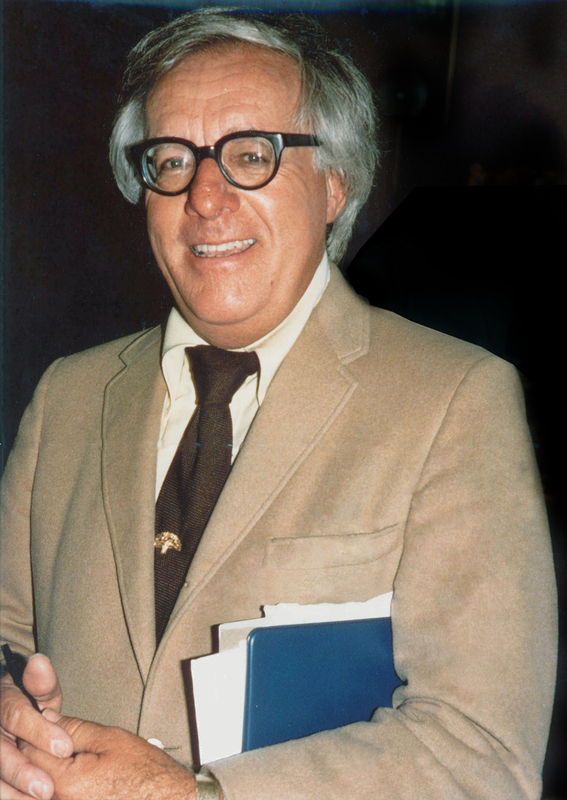 Ray Bradbury says that plot “cannot be mechanical. It can only be dynamic.” I agree with him, in that while beginning writers may choose to outline their stories and make sure that they have all of their conflicts, scenes, villains, and such in order, they may sacrifice character development, which gives that “dynamic” component to your story. However, I do not agree with Ray Bradbury when he says that plot “cannot precede action”. In a way, everyone is at once a plotter, pantser, or plantser. It just depends on when they create the structure of their story: before they write it (plotter), after they write it (pantser), or during the writing process (plantser). But in order for an objective, static plot to become a dynamic, emotional story, plot and character must work together. A plotter is free to outline their story as they please, but they should remember the impetus for the events that they plan. In other words, they should have a logical explanation based on the characters that caused these events to happen. A pantser is free to write their story without an outline, but they should remember that their characters imbue meaning to the story’s events. If the events have no meaning by way of logical, sequential connections through a story’s structure/plot, then the writer risks the story becoming a series of unconnected episodes. A plantser is free to make outlines, cast away outlines, or write the story as they wish. But the more they get to know their characters and feel out the situation, the better they’ll know their story environment and structure. Stories are born out of desire—a character’s desire. When that desire is not met by forces in the story that prevent its fulfillment, this creates interest for the reader. Plot is the result of a character’s actions, and the character’s subsequent actions result from the events of the plot. A story, in this case, is like a connect-the-dots picture. The plot is the series of dots that make up the picture. The character is the chart that connects these dots together. The image what is left behind symbolizes the story and its theme. That being said, you don’t need to have the dots laid about beforehand, especially if you’re a pantser. If you’re a plotter, however, you might. But the lines with which we draw our story and connect to those dots should have a reason behind them. Everything should have a reason behind it, no matter how small it is. Why does one character behave the way that they do? Why is the world shaped like it is? Why does one event logical proceed from this one, and isn’t playing God? Those are the questions one should ask as a writer. And ask frequently, so that your reader won’t be forced to ask them for you. They don’t want to ask questions. They just want to read and escape. This was amazing! I love how you broke down the different types of writers. The plantser is one I haven’t heard much about. Thank you 😀 ! I’m glad you liked it, and that you found it helpful. The plantser, I’ve definitely noticed, is “new,” because the extremes get much more attention.